Sometimes described as the eighth wonder of the world, a city where the tarmac is replaced with water and cars replaced with boats and Gondolas. Made up of 118 islands joined together with small bridges renowned for its architecture and art, a world heritage site and historians dream destination the romance of Venice will stay with you forever after even the briefest trip to this mystical city. Art and culture have always been at the forefront of Venetian life and even today many world class exhibitions and festivals draw millions of visitors each year. The Carnival of Venice is held each year just before the Christian celebration of Lent, revelers don elaborate masks and dance in the town squares if you are considering visiting over this period you will need to book very early as space is limited and this time of year is immensely popular. 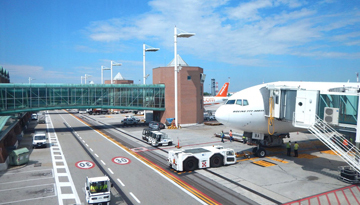 There are two airports that service the city Marco Polo and Treviso, both have frequent shuttle services into the historical city center where you can then travel around by Vaporetti the public ferry services, however, a comfortable pair of shoes is really the best way to get around. Cheap Lufthansa flights to Venice from London All Airports - From £159 include return. 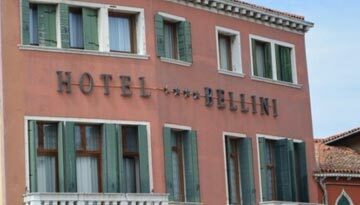 B4 Bellini Venezia offers 4 star 1 night room stay at £121 & save up to 15%. 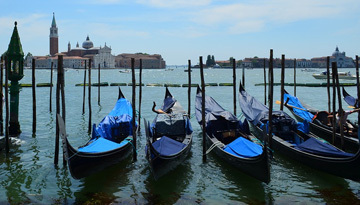 Fly from London - Venice & Stay for 4 nights with 4 star accommodation. Bed & Breakfast.